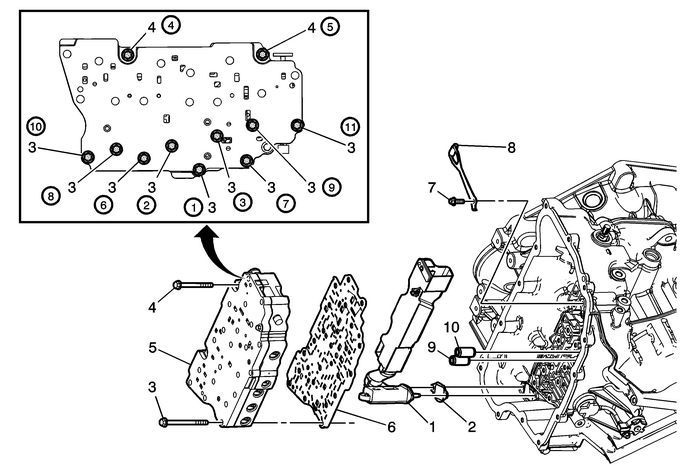 Remove the control solenoid valve and transmission control module assembly. RefertoControl Solenoid Valve and Transmission Control Module Assembly Replacement. Discard the seal. It is not reusable.